Carina, Carindale and Districts Basketball Club (CC&DBC) is a "not for profit" association dedicated to the development of, and participation in, the game of basketball for young adults and children throughout southern Brisbane. 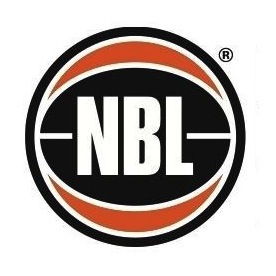 The Carina, Carindale and Districts Basketball Club was formed in 1982 and is a foundation member of Southern Districts Basketball Association (SDBA), one of the largest basketball associations in Queensland and home of the mighty Spartans. 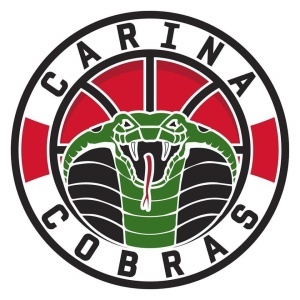 The “Carina Cobras”, as the club is more commonly known, has consistently been one of the largest and most successful clubs in the SDBA and is the last of the SDBA foundation clubs still operating. The Cobras Club fields teams in all age groups - from the under 7's Biddy-Ball for boys and girls, to U19 Youth Girls and U20 Men. Cobras will field 80 teams in the term 1, 2019 season. Although there are no geographic restrictions on membership, traditionally the Club tends to draw its members from the Carina, Carindale, Mt Gravatt, Holland Park, Morningside, Camp Hill and surrounding areas, however all are welcome to become a part of the Cobras. 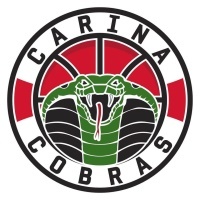 Carina Cobras have seen many of its juniors go on to play representative basketball at both regional and state level. Cobras have also had several members go on to successful basketball careers in the National Basketball League, college basketball in USA & the 2016 Olympic team. Promote the game of Basketball - for the joy of playing basketball as well as endeavouring to constantly improve the skill levels of our players and coaches. Provide opportunities for children and adults to play and enjoy basketball - for both those who want to play basketball as a social sport and those who want to take their sport to a representative level. Encourage the development of players and coaches - to raise the overall players standard we are continuously developing our coaches through access to formal coaching courses and encouraging players to become coaches once their playing days are completed. Promote good sportsmanship and develop both club and team spirit amongst our players and coaches. General description of height (tall/average/small for age). We take players of all sizes and use this information simply to ensure our teams are balanced. Would you like your child added to the waiting list if we don't have an immediate vacancy? Please see further information on the "New Players Contacts" page about making new player enquiries. We currently have very few vacancies but also have a waiting list for future seasons. See also the SDBA's website page links to "Junior Club Websites" for contact details for other junior basketball clubs that train and play around the Carina area and may have vacancies (use Links TAB). Carina Cobras is always on the lookout for coaches. We particularly need coaches available for afternoon & early evening training. We can't run one of the biggest junior clubs in Australia without your continued assistance. The club will fund our coaches to attend courses towards accreditation & welcome seniors and juniors who are willing. Accreditation is not compulsory but the club encourages completion. If you are only available to coach on game day we can accomodate you & we have mentors available if you would like to work as an assistant coach initially. Cobras players, coaches, and managers - new rules have been introduced by SDBA to curb the increasingly bad behaviour directed towards game referees. The Cobras management committee fully supports this new ruling. Please read the attachment in the "News" section below. All Cobras players, coaches, parents and spectators are bound by BQ's Codes of Behaviour. Please read the update in the General Info section.